RING OF FIRE. Created by Richard Maltby, Jr.; directed by Kelly Van Oosbree. Produced by Vintage Theatre (1468 Dayton St., Aurora) through Aug. 6. 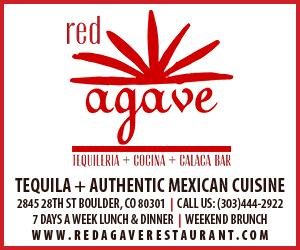 Tickets available at 303-856-7830 or vintagetheatre.com. 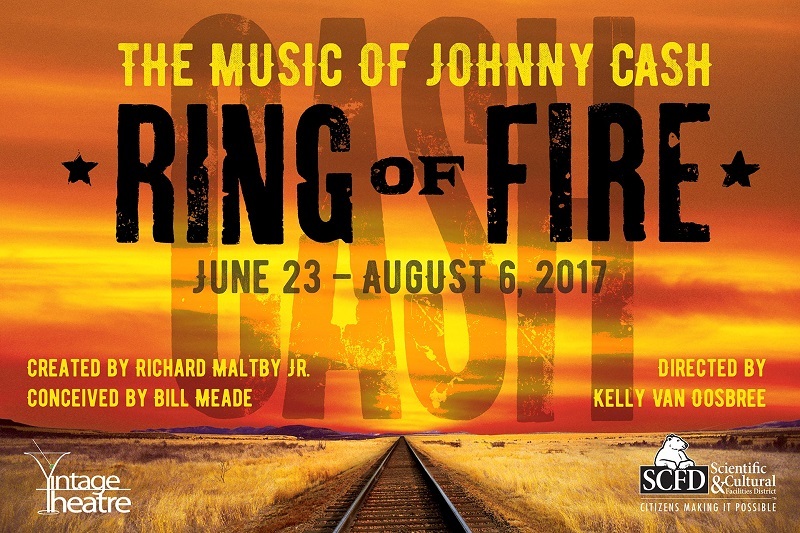 When the show was conceived in 2005, RING OF FIRE’s original cast included three couples who represented the various stages in the life of Johnny and June Cash. When it was recreated in 2014, the cast took a different configuration, with the first “new” productions including one or two women and as many as seven backup singers. The Vintage production found six actors/musicians/singers who could convey the story of the Cashes while playing multiple instruments, offering backup for one another and enjoying themselves immensely. Young Benjamin Cowhick, a well-known local actor (BONNIE AND CLYDE, VIEW FROM THE BRIDGE and ROBBER BRIDEGROOM most recently) takes most of Mr. Cash’s dialogue, and has gently inserted some of his mannerisms in a homage to the singer that doesn’t become an imitation. My only complaint with the show at all was that some of the songs were pitched a little too low for Ben, making it sometimes difficult to hear him. But when the songs were in his range, he soared. Ray Anderson, playing guitars, comes from the concert world; he looks and sounds like the best of Carl Perkins. Eric Weinstein also displays his versatility as a musician and singer while performing and serving as Music Director for the show. All the beautiful harmonies the group achieves are Eric’s work. Completing the ensemble are S. Parker Goubert playing guitar and Kurt Oschsner on drums. Whether you thought you liked the music of Johnny Cash or not, you will when you finish listening to this collection of some of his greatest hits. It’s no secret I’ve never been a fan of the genre called jukebox musicals—those that compile music by only one person or of only one type. But the subtlety and sweetness of this script and score and the talent of this cast won me over. This is an uplifting way to spend a summer evening. Check it out.